A delicious twist on the traditional recipe, this frozen custard is perfect plain or as a fruity frozen filling for cream puffs. CUSTARD BASE: BEAT eggs and sugar in medium heavy saucepan until blended; stir in milk. COOK over low heat, stirring constantly, until mixture is just thick enough to coat a metal spoon with a thin film and temperature reaches 160°F, about 15 minutes. Do not allow to boil. REMOVE from heat immediately. COOL quickly: Set pan in larger pan of ice water; stir occasionally and gently for a few minutes to hasten cooling. PRESS piece of plastic wrap onto surface of custard. REFRIGERATE until thoroughly chilled, at least 1 hour. 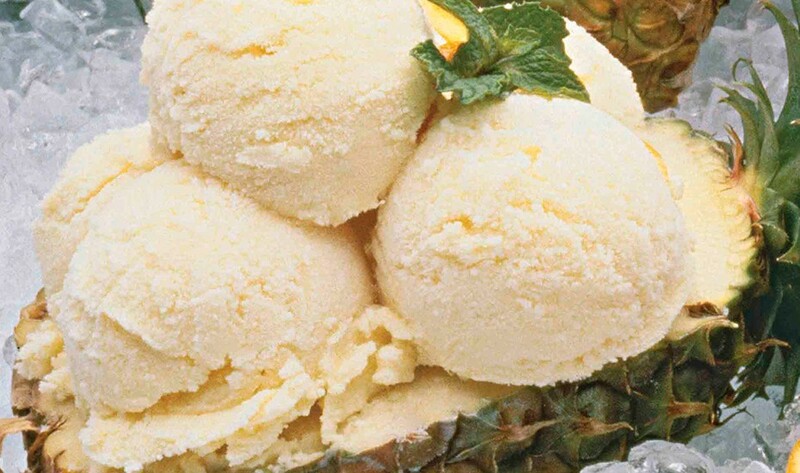 ICE CREAM: POUR chilled custard, pineapple puree, whipping cream, juice concentrate, orange peel and vanilla into 1-gallon ice cream freezer can. FREEZE according to manufacturer's directions, using 6 parts crushed ice to 1 part rock salt. TRANSFER to freezer containers, allowing head space for expansion; freeze until firm. Serve with your favorite ice cream topping. Use as a filling for Cream Puffs. Pineapple puree: Peel and core a 1-1/2 pound pineapple; cut into chunks. Process in blender or food processor on medium speed until smooth. Secrets of success: Low heat, a heavy saucepan, constant stirring and patience are the keys to making custard sauce. If you increase the cooking temperature to try to speed the process along, the custard is likely to curdle. Stirring constantly, making sure to cover the entire bottom and the corners of the pan, prevents scorching and ensures that the mixture heats evenly. Watch carefully and test frequently toward the end of the cooking time, after about 10 to 12 minutes. The last few minutes are crucial. Undercooked custard will be thin and watery; overcooked custard will curdle. The difference is a matter of only a few degrees. Coats a metal spoon: A thermometer is best, but if you don't have one, use this test for doneness. Dip a metal spoon partway into the custard, then withdraw it. Custard should drip off the spoon, leaving a thin coating that adheres to the spoon. Repeat test as necessary, using a clean spoon each time, until the correct stage is reached. Cool quickly: The ice water bath is another aid to prevent curdling. It cools the custard and stops the cooking quickly. Have it ready in advance. At this point it is important to stir only occasionally, not constantly. Too much stirring will break down the structure of the thickened custard and result in a thin consistency. Beginners may want to cook the custard in a double boiler over simmering water. This method takes longer for the custard to thicken, but allows more control and reduces the risk of curdling. Cream or milk? 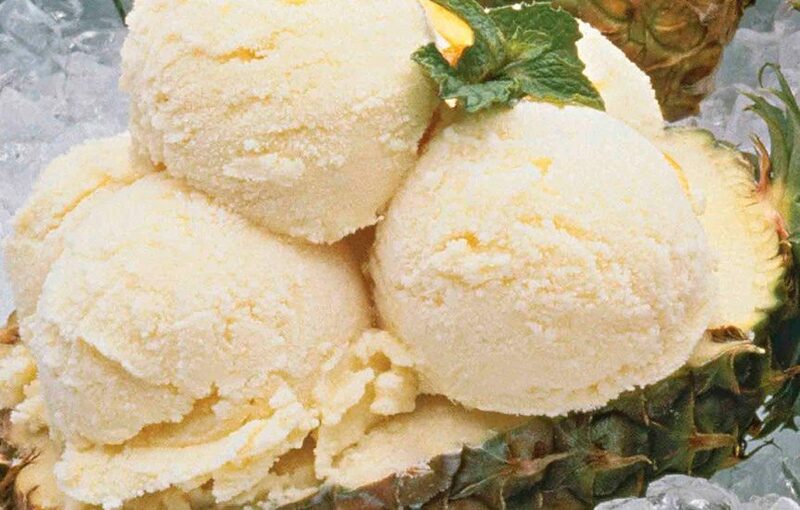 Custard and ice cream can be made with any combination of milk (skim, lowfat or whole) and cream products (half-and-half, light, heavy or whipping), to suit your dietary needs. The higher the proportion of fat, the richer and softer the custard will be. Frozen custard with a high proportion of milk will be harder and resemble ice milk. This recipe is a good source of Vitamin A and choline.